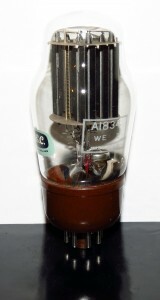 This entry was posted in Vacuum Tubes and tagged 6080/ECC230, 6as7/ECC230, Genalex by tubemaze. Bookmark the permalink. The tube sounds very nice – sound signature is very similar to Mullard 6080, but a bit more air, a bit more details, but that is at the cost of warmth and lusciousness. As Nick stated in his review above – it’s clinical. I personally like warmth of Mullards and to me the tubes sounded great, but not my favorite. I compared it to Tung-Sol 5998 and WE 421A. Western Electric was a clear winner.